Out of stock since Wednesday, 14 February 2018. Due back soon. Polyester silver close weave mesh giving maximum protection against all flying insects. Fully protected to reflect harmful UV rays of sunlight. Cleverly designed neck fits over the ears to prevent it from slipping down. Fully adjustable elasticated velcro neck straps plus belly flap with adjustable elasticated straps. Features freedom pleats at shoulder, tail flap plus removable leg straps. 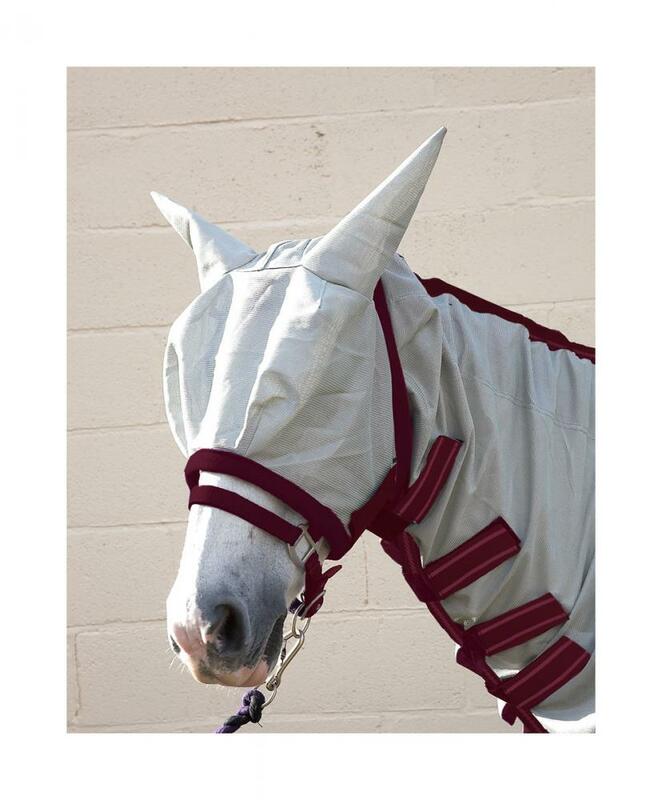 Anti rub lining on mane, tail and shoulder. Comes complete with a fly mask protecting the eyes and ears. Featuring an attractive Hy reflective logo. Machine washable at 30C. Below are some recent questions we've received regarding Hy Guardian Fly Rug and Fly Mask, including answers from our team. Please can you tell me what type of fastenings are at the chest please? 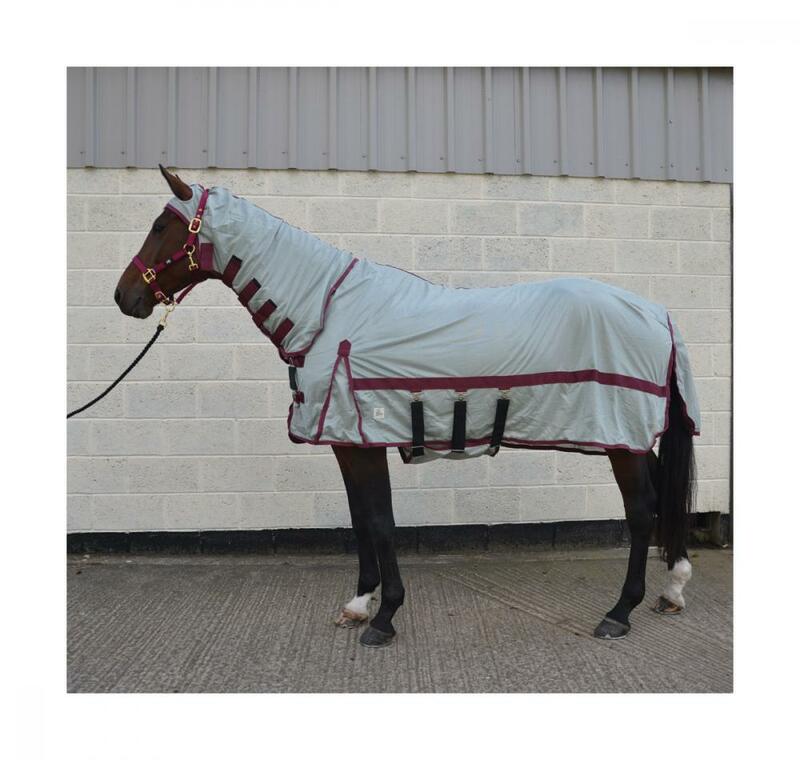 Please be advised the HY Guardian Fly Rug has two buckle fastenings located on the horse's chest and four velcro fastenings to secure the neck cover.